Based on the massively popular Theatremonkey.com website, this indispensable guide has everything you need to enjoy the best of London’s West End. Trusted advice based on the opinions of thousands of other theatregoers. Colour-coded seating plans of over 50 West End venues that highlight seats offering the best value, and those with problems or restricted views. Practical tips for saving money making the most of your theatre visit. Comprehensive venue information including booking details, theatre history and facilities. 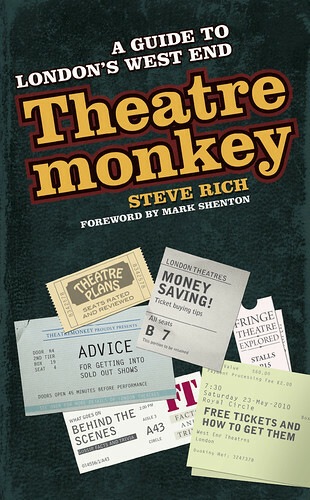 Steve Rich began the now famous Theatremonkey.com website in 2000. Today, it is a thriving community for thousands of like minded theatregoers. Mark Shenton, theatre critic for the Sunday Express, introduces the guide with an insightful foreword. He describes it as a “treasure trove” of information, which will help the theatre live on “as one of London’s defining features”.